those mishap-images from March 1939. Gossip & Rumor = P.C. March 18th, 1939, a new (straight wing, four engine prop) Boeing B307 "Stratoliner" NX19901, T/O BFI at 1256 hrs PST, 'Strat' Test #19 (though likely the16th flight test) , prototype aircraft crashed, likely due to rudder locking full-over. [Perhaps counter-intuitive, the failure-interaction results in YAW INTO the operating engines.] 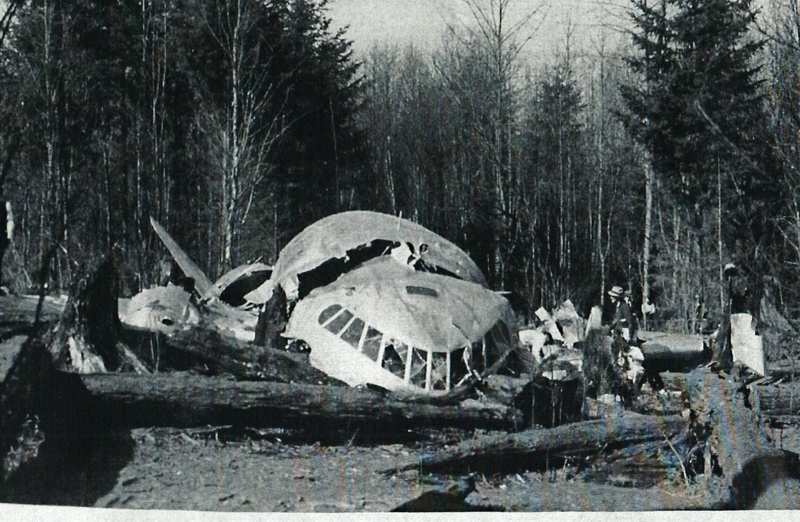 Mishap date Saturday, 18 March 1939, accident occurred at 1:15 PM, near Alder WA. Ten men killed. CAA's ASB sent investigators, held public hearing, and published an AAR. 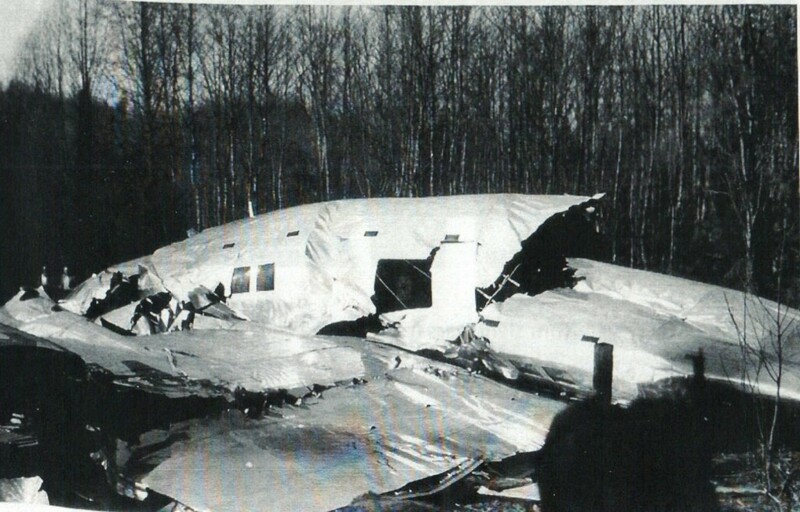 After initial slow-speed upset yawing-rolling-dive, then recovery from spin, aircraft finally suffered structural failure of Horizontal Stabilizer and outboard Wing sections, during attempted pull-out from a steep dive.